Are you attending a horse race this spring season? 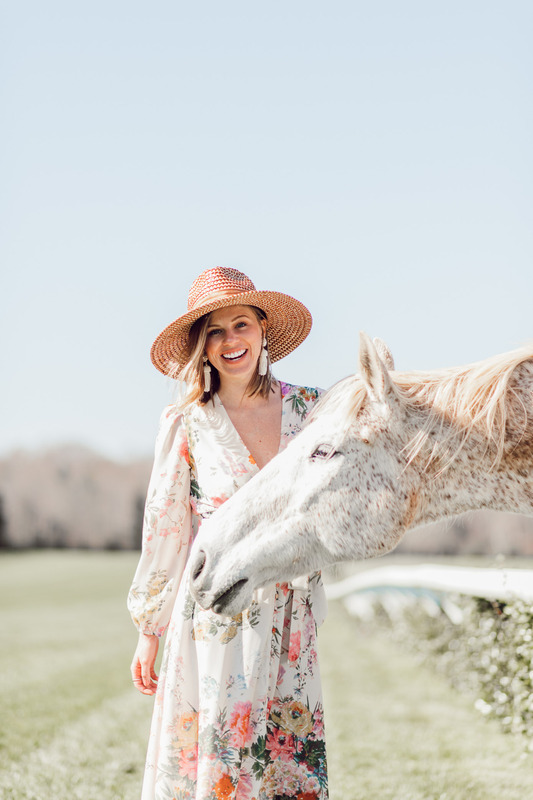 I’m breaking down what to wear whether you’re headed to the Kentucky Derby, Queen’s Cup Steeplechase, or another horse race local to you. So let’s talk derby style! The Queen’s Cup Steeplechase is just over two weeks from today (April 27th) and the Kentucky Derby is a little over three weeks away (May 4th). Before you know it, they’ll both be here. So it’s time to start planning your look(s)! Joshua and I will be attending the Queen’s Cup Steeplechase here in Charlotte. 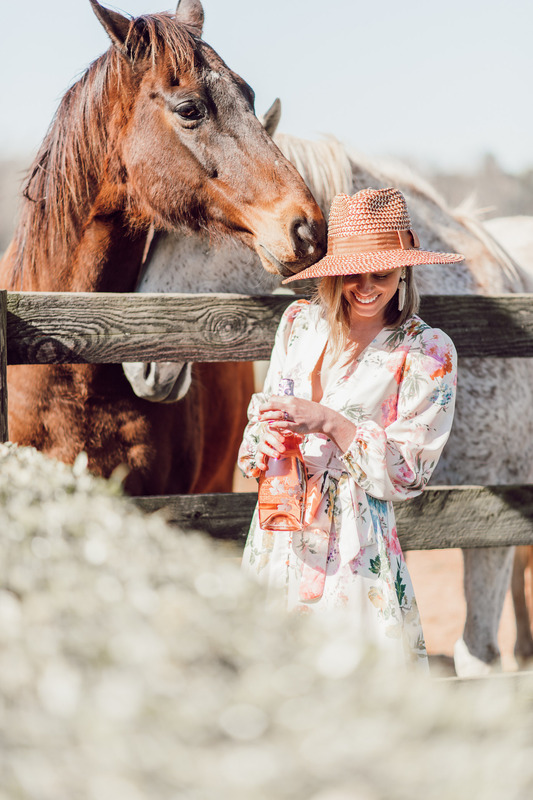 If you aren’t familiar with this horse race, the Queen’s Cup Steeplechase is like no other sporting and social event in the Charlotte region. The event is held every spring on the last Saturday in April in the Piedmont countryside. At the event you’ll find the most athletic thoroughbreds competing at speeds of up to 30 miles per hour. Jockeys, dressed in bright colored silks riding their sleek steeds for the chance to win the purse money of $150,000 and of course, bask in the glory of the winner’s circle. The Queen’s Cup offers a variety of viewing opportunities from breathtaking views of the entire racecourse from the Lawn Boxes and Hospitality Tents on Member’s Hill to key tailgating spots throughout the entire racecourse. No matter where you are at the race, you’ll be surrounded by people in their derby best. From big hats and spring dresses for the ladies to seersucker and bright colors for the men. It is a place to see and be seen while enjoying to beautiful grounds and stunning horses! Truly, the event of the season! Therefore, what you wear is extremely important. While also incredibly fun! 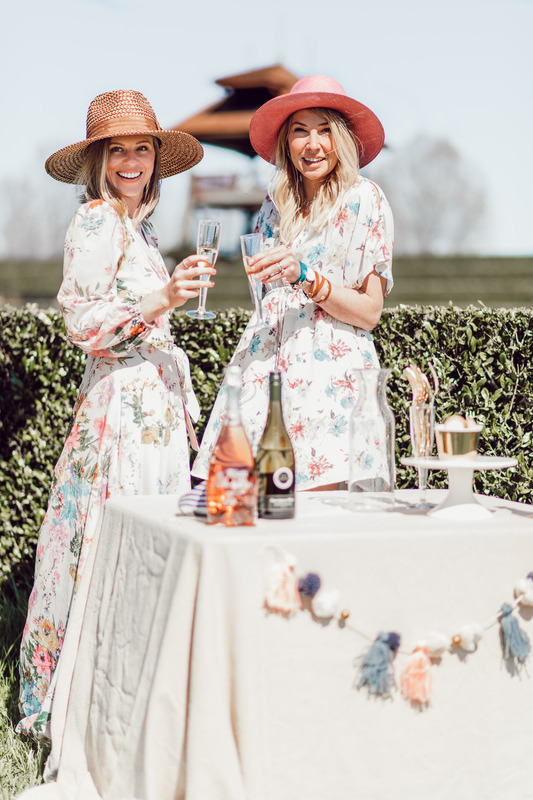 Whether you’re attending the Kentucky Derby, Queen’s Cup Steeplechase, or a Derby party, this is your time to pull out your spring best and have a little fun! 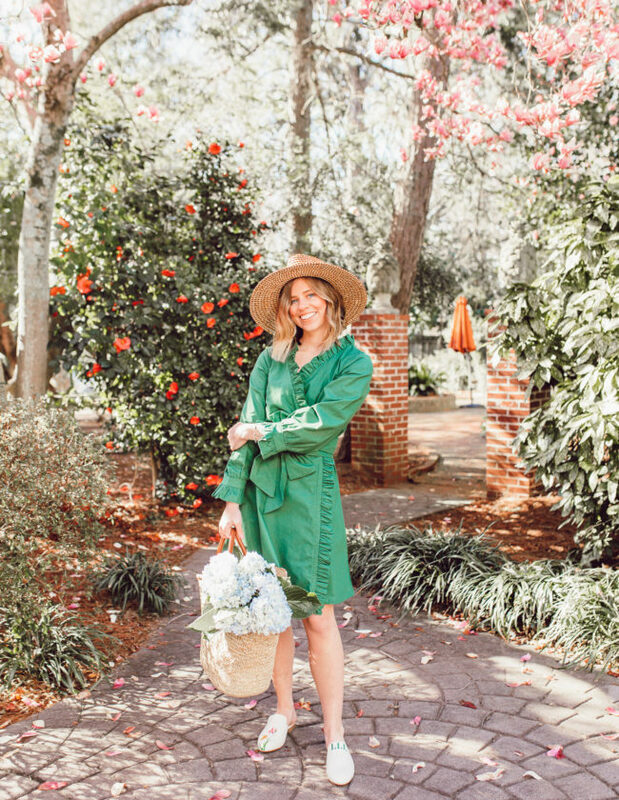 Think bright colors, loud prints, seersucker, big hats, and all things southern + preppy! First off, a hat or fascinator is an absolute must! If you’re opting for a hat, think wide brimmed, a little southern belle inspired. The bigger the better. The brighter the better. The more flowers, the better! If you’re attending Queen’s Cup Steeplechase, they even have a hat competition. Your hat does have to be homemade though, so get you’ll have to get crafty! 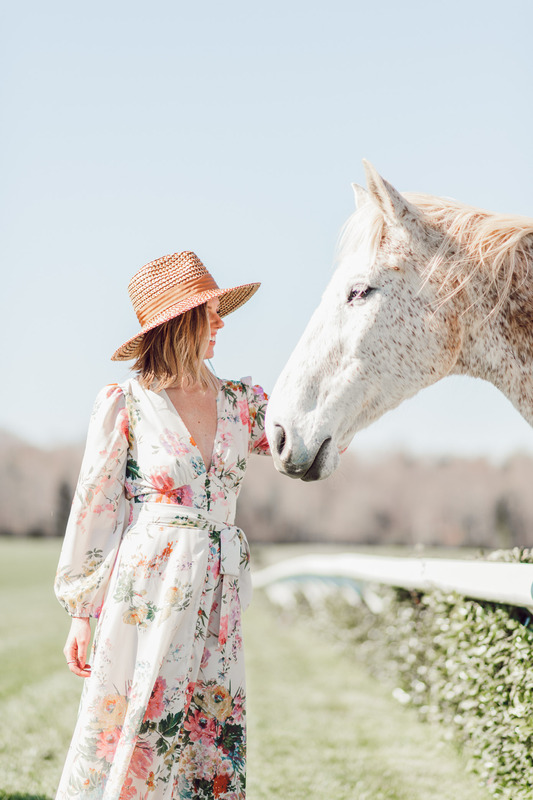 A horse race is the perfect excuse to buy a new spring dress. Play with patterns or opt for a solid brighter colored dress. Or if you’re planning to go big with your hat, maybe choose a white dress with beautiful details. If your hat is simple and elegant, keep the outfit simple also to create a more classy, streamlined look. If your are going big with your hat and it’s packing quite the punch, keep your dress solid and simple. If you really want to play up derby style and go big all the way around – keep your colors consistent! Meaning your hat and dress should compliment each other in the colors department. I honestly feel like the men get to have a little more fun when it comes to derby style! They have SO many options – hats, bow-ties, ties, pocket squares, blazers, and the list goes on. Therefore, men (or the ladies dressing your guy) HAVE FUN and LIVE IT UP! Play with patterns, pull out all the colors, and lean into your southern side. You can also go the classic route, if that’s more your style. If so, opt for a classic navy or seersucker blazer. Paired with a white button down shirt, tie or bowtie, and chinos or khaki shorts. Yes, you can wear a blazer and shorts together. But only at a horse race is that appropriate! 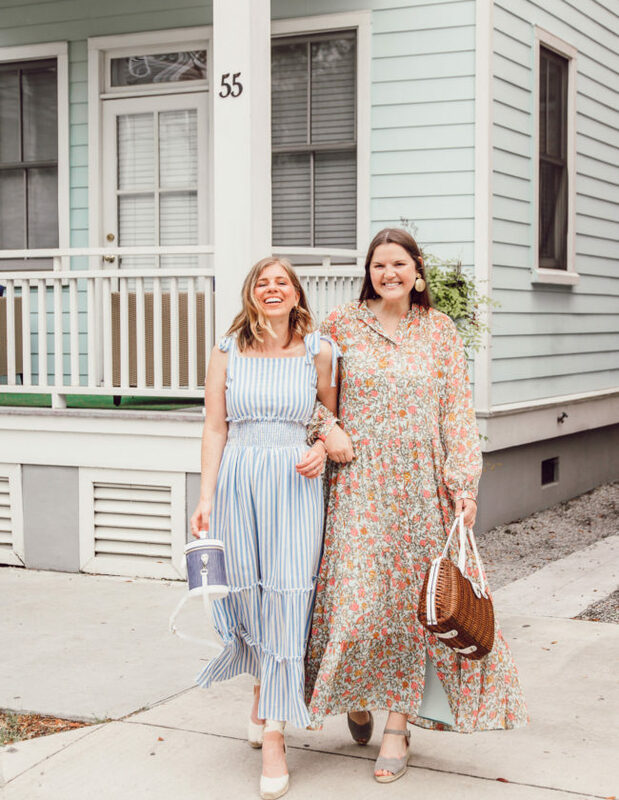 these photos are absolutely gorgeous & I am loving how you styled the dress! These are gorgeous photos and I love that dress! Oh my goodness thank you Laura! I am so looking forward to it! You are gonna have so much fun at the race!! LOVE y’all’s pretty dresses for the occasion! Thank you lady! Super looking forward to it! Aw yay! It truly is the most perfect long sleeve floral dress. Absolutely love it! These photos are absolutely amazing! I hope you have the best time at the horse race. I love these events – my dad actually owns a few racehorses (it’s his hobby) and going to the Kentucky Derby is on my bucket list! Thank you Lee! We cannot wait to attend. Oh that is so much fun! What a great hobby! Hope you’re able to attend the Kentucky Derby soon! 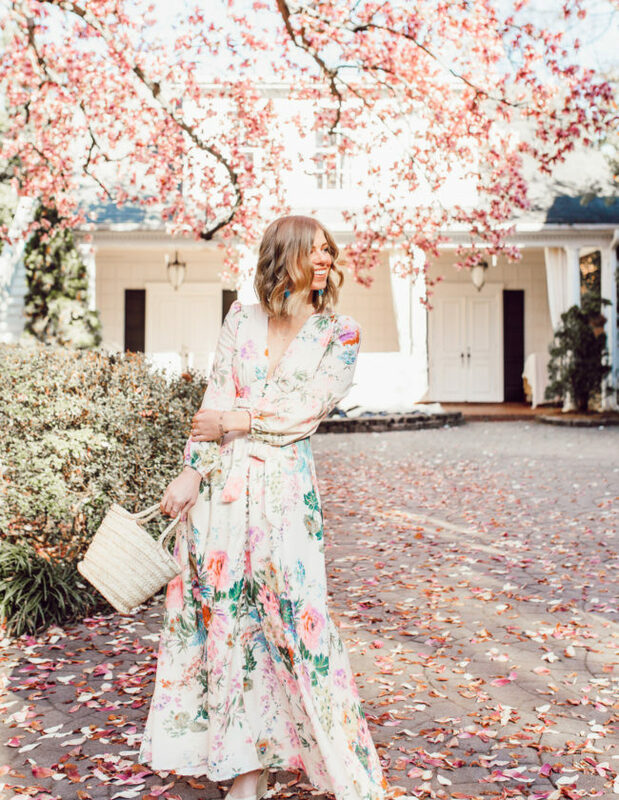 Such a dreamy spring dress. Looks like you had a blast. Thank you gal! We definitely did, excited for the real deal later this month. I will never get over these photos!! So so stunning, Laura!! Thank you so much Hillary! Definitely some of my favorites! How FUN! I’ve never been to a horse race before, and have only seen them in movies. I guess I didn’t realize it was something people actually did in real life (how naive am I?) I guess I’ll have to look in my city and find out if there are any Derby races to attend! Oh you absolutely should! Hopefully there is one near you! This dress is absolutely gorgeous on you! What a thorough round-up too! I’ve been to the Belmont a few times and it’s more understated than the Derby, but still fun. Thank you so much Sam! I really appreciate that gal 🙂 oh that sounds fun, I need to look into that. That floral dress is just stunning on you! OH MY GOSH!!!! SRSLY obsessed with these photos!!!! So stunning LL!!! Aw yayy!!! Thank you Lacey! These photos are so gorgeous!! Love this post idea and I love horse racing season! So fun!